This Saturday, Code for America Brigades around the country will host Open Data Day events to celebrate transparency and civil society collaboration to build better cities for everyone. As a member of the Code for America Network Team, I have the pleasure of attending this year’s BetaNYC’s School of Data—one of the country’s leading training experiences for civil servants and community members around civic technology, design, and, of course… open data! In some ways, events like Open Data Day are a special occurrence. They are singular events that bring together the civic tech community to focus on creating a better world. In other ways, though, this is the core essence of a Code for America Brigade — organizing people to achieve civic transformation is what Brigades do day-in and day-out to improve their communities. As we look ahead to 2019, my teammates on the Code for America Network Team and I are more excited than ever for the future of civic technology. Our Network is stronger than ever, continues to grow, and is developing new collaboration techniques to deepen each Brigade’s impact. We are about to select new leaders and are working to gain a deeper understanding of whose voices are represented in our work. So now the question becomes: How can we do more? To answer that question, for me, Open Data Day will be the start of a two-week Brigade research trip. From NYC to Philly to DC I’ll seek to learn: what are Brigades doing well? What kind of support can Code for America provide? How have Brigades that have “figured it out” actually figured it out? To level-up the Network, we must have clear answers to these (and many other) big questions. Stay tuned here, and on Twitter, for insights and reporting out in real time. Whether I’m on a trip or not, I love to meet up with as many Brigade leaders as possible. If I’ll be traveling to your city, or close to it, let me buy you lunch or a beverage. It’s the least I can do for your dedication to our Network. And, above all, I hope you have a great Open Data Day! 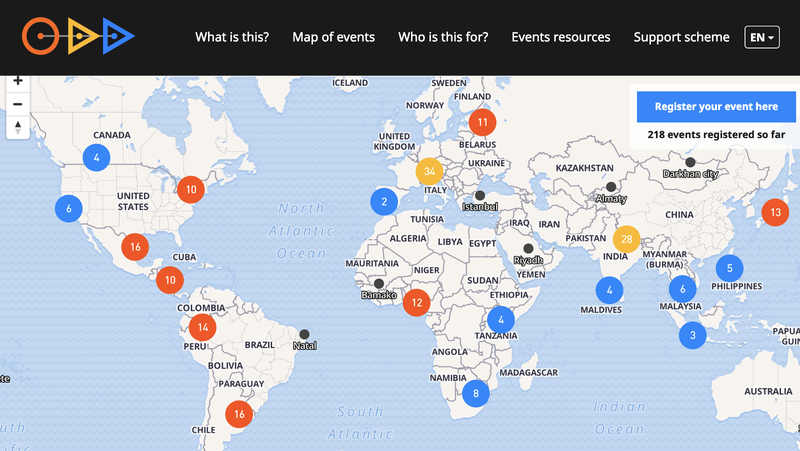 We’d love to see pictures from your events — make sure to tweet with the #cfabrigade and #opendataday hashtags!